Ganesh Himal region trekking is one of the most popular Hindu deities in the world. It is located in the eastern part of Nepal, between the Langtang and Annapurna Himalaya region. 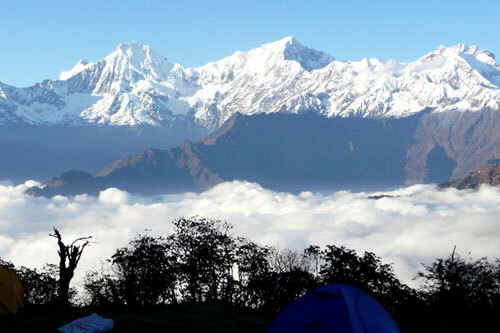 Since it is situated in between two giant snow-capped mountains–Langtang and Annapurna mountain range, you will be able to have incredible views of the majestic mountains, awesome scenes and scenarios, lush forest full of rare birds and animals, the rich cultural and heritage sites of various ethnic groups residing alongside of the trail. Ganesh Himal region trek provides to trekkers, fascinating adventure opportunities to explore the dreaming wonderland of nature in Nepal Himalayas. Along the Ganesh Himal region trekking trail, offers superb close views of Ganesh Himal, Hiunchuli and other peaks of central Himalaya. During the Ganesh Himal region trekking you can observe the different ways of life culture and able to contact with rural people in the small villages. This trek is quiet in mountain region rarely visited by trekkers, might not possible to see any foreigners even any modern Nepalese other than local Tamang people. We can proudly say that your journey around this Himalayan range is among the most enjoyable though tough.